Rajnath Singh, the new BJP President (Feb 2013) has brought forward the issue of Ram Temple once again. The Sadhus associated with VHP have also proclaimed that it is on their agenda. All the top leaders of RSS Combine are visiting the Mahakumbh, taking a dip in the Holy Ganges and affirming the Ram Temple as the fulcrum of their all round campaign in the wake of the forthcoming 2014 Parliamentary elections. 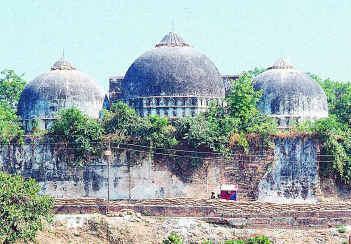 What is disturbing is that after the Allahabad High Court verdict on Ayodhya, which had asked to divide the land into three parts one each being given to the three litigants, Sunni Waqf Board, Nirmohi Akhada and Ram lalla Virajman, the matter is pending in Supreme Court. In the wake of the judgment the RSS had asserted that Muslims should give up their claims for the sake of the sentiments of majority. Despite the cases pertaining to ownership of the land where the mosque is located, VHP etc. were already asserting that no mosque will be permitted in Ayodhya. As per VHP, mosque has to be outside the ‘Shastriya Seema’ (boundary) as given in the Ramcharita manas (The Ram Legend, by Tulsidas) of Ayodhaya. Meaning there by that Ayodhya is a holy place of Hindus only. It must be made clear that Ayodhya means (A+Yudhya: A no war zone). It is not only holy for Hindus. Ayodhya has been a focal point of many religions, Buddhism, Jainism and Hinduism. 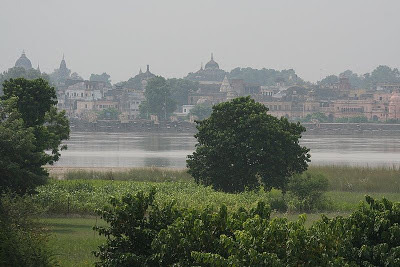 From about fifth century BC fairly large Buddhist community was living in Ayodhya. Though this religion suffered a setback during first millennium AD, several remnants of its existence did survive. According to Jain tradition Ayodhya was the birthplace of the first and fourth Tirthankara. The early places of Hindu worship of Ayodhya were of Shaiva or Vishnu provenance. The specific worship of Rama even as an avatar of Vishnu is a much later development. References to the image of Rama appear only in sixth Century. Nawab of Awadh region, where Ayodhya is located had given land for the biggest temple in the area, Hanuman gadhi. Another argument doing rounds is that state should take up the building of the Ram Temple at Ayodhya the way Somnath temple was built by the state. Advani and many others have been claiming that the Somnath reconstruction was done as per the decision of the Nehru cabinet. This is a total lie. Since the public memory is too short anything propagated repeatedly starts sounding like being true, the way Hitler’s propaganda minister Goebbels used to do. Contrary to this; a little peep into the recent history will show us that Indian Government had nothing to do with the reconstruction of Somnath temple. The lie that Nehru Government had reconstructed or supported Somnath reconstruction is a distortion of the fact that two ministers of Nehru cabinet were involved in the reconstruction in their personal capacity. As such when the idea of reconstructing temple at Somnath was mooted by Sardar Patel, Gandhi who was alive at that time opined that Hindus are themselves capable to build the temple and they don’t need Government money or assistance for reconstruction neither should Government give money for such a construction. With the death of Sardar Patel, K.M.Munshi and N.V. Gadgil, who were ministers in Nehru’s Cabinet, took up reconstruction work at personal level. There was no question of reconstruction proposal being passed by the Cabinet as falsely being claimed by communal forces. After the completion of the temple for its inauguration, the then President of India Dr. Rajedra Prasad was invited. He accepted the invitation against the wishes of Pundit Jawaharlal Nehru. Nehru opined that public officials should never publicly associate with faiths and shrines. Today nearly two decades after the demolition of the Babri Mosque, we have seen as to how much damage this Ram temple campaign has done to the political scene in the country. Unfortunately the Ayodhya Judgment has accepted faith as the basis of the verdict. It has been challenged in the Supreme Court though. At this moment why can’t RSS and company wait for the court verdict before declaring it on their agenda? The real reason for this is a political one. Temple construction has nothing to do with Hindu religion. RSS combine could demolish the mosque and built their political strength. Starting from two MPs in Lok Sabha in 1984 elections, as they gradually took up this issue, BJP by and by went up to 183 MPs in Parliament in 1999 elections. The mass hysteria created by this movement built up the BJP from a marginal outfit to the major opposition party. After 1999, BJP gradually went declining in its electoral strength. The present effort to revive Ram Temple issue has a calculated strategy. The calculation may be that reviving this campaign may increase its power and bring it to the forefront again. But it is doubtful if this strategy may succeed again. Two decades ago, it worked. So many years down the line, the voter profile has changed and the newer set of youth may not be too enamoured by the call for temple building, as the more crucial issues are baying at them. Still there is a big appeal of emotive issues amongst a large section of society. And RSS combine has been whipping up the emotive messages through different programs. As outfit like RSS thrive on identity issues, Ram Temple is their major trump card. The arguments that Ram Temple is a symbol of our nationalism also seem to have smudged the issue in the minds of many. We know that Indian Nationalism does not veer around the mosques and temples. It is not a religious nationalism. In a democracy Nationalism cannot be identified with the religions’ of the kings of the past. Even the Kings of both religions had mixed administration anyway. One needs to come to terms with the values of freedom struggle, which made India into a nation, based on democracy and secularism, dump the issues of temple-mosque and grapple with the issues of livelihood and human rights of the citizens. .